LETTER | The MySalam Critical Insurance deal and the RM2 billion donation by Great Eastern Malaysia has raised many red flags about the manner in which the Finance Ministry and Bank Negara provided a waiver to the insurance company from the need to comply with its own directive issued in June 2017, where foreign insurance companies need to have 30 percent local shareholders. 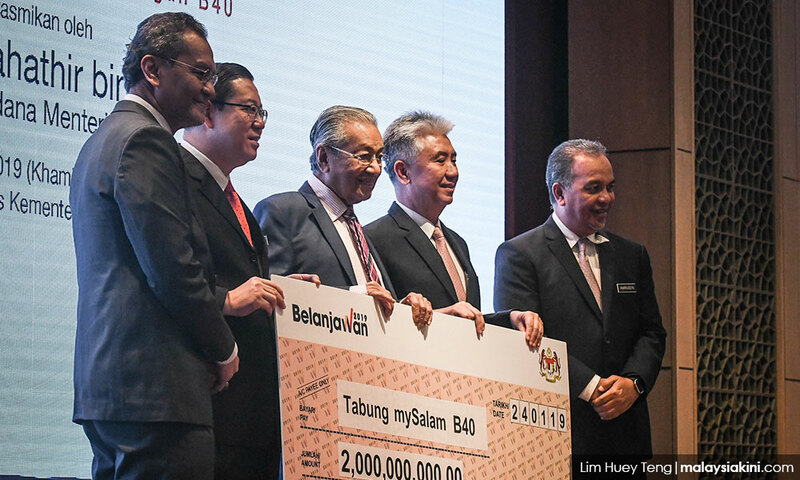 In a highly publicised program, Great Eastern has provided an RM2 billion donation to the government, and this donation is to be used to run the MySalam programme, where the company will provide a critical Illness programme for four million people in the bottom 40 (B40) income group in this country. It is still uncertain whether this donation is tax-free or tax deductible. There are so many things not right with this deal. The value from the RM2 billion in exchange to for a waiver to meet local shareholder requirement is peanuts compared to the economic multiplier impact on having 30 percent local shareholders. This translates to having to retain 30 percent of the profit to a local entity annually, instead of repatriating profit to overseas which actually affects the capital outflow. The Malaysian ringgit will never strengthen if we continue to allow massive capital outflow every year. The so-called RM2 billion donation isn't really a donation when money does not change hands. In effect, the Great Eastern is supposed to give Bank Negara RM2 billion and Bank Negara will pay Great Eastern RM2 billion in premium for the coverage of the critical illness programme for B40 segment. The value of critical illness cover for the B40 segment at the price of RM2 billion is questionable. For such a sum, one can expect a better value proposition for the four million people, rather than giving a lottery scheme which is payable upon meeting the definition of a defined illness as per the insurance terms. Great Eastern will benefit from the data of the four million people where they could use for at least the next 30 to 50 years. From this basic data, they can obtain secondary data of the family members which could be used for the next 75 years. This data will be used for the purposes of product development, upselling and cross-selling of many other products that are currently available within Great Eastern. This raises the questions of data privacy and data confidentiality. On what legal and moral grounds do the Finance Ministry and Bank Negara allow GE to have access to the B40 population database? This is a very bad deal. Its a loss for the country. The Finance Ministry and Bank Negara must take the high moral ground and rescind this deal. MySalam is a low-value programme. Financially, the so-called donation is not a donation. The proposed critical illness programme is a low-value programme. For the sum of RM2 billion many other high-value programmes can be developed. For moving money like this, the question of money laundering comes to mind. What difference is this with 1MDB? I urged the Finance Ministry and Bank Negara to do the right thing. The ministry needs to show it is now different from what it used to be.